Heat the oven to 175°C (or 350°F). 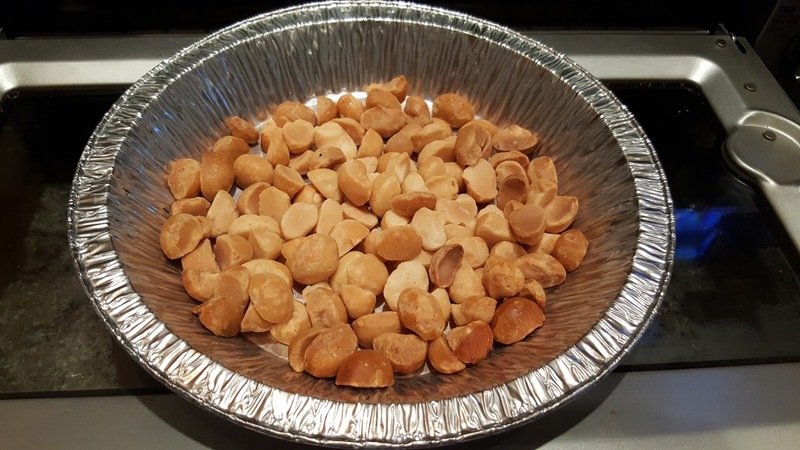 Toast the macadamia nuts for 5 minutes then remove them and set them aside. Heat the oven to 220°C (or 425°F). 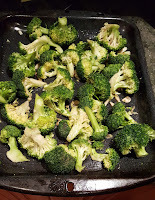 Wash the broccoli, shake off as much water as possible, and cut off bite-size florets, discarding the thick and fibrous part of the stem. Bruise and peel the garlic cloves, then slice them lengthwise several times. Place the florets and garlic cloves into a shallow baking dish, such as the bottom of a broiler pan, and sprinkle them with the olive oil. Mix the broccoli and garlic to coat all with a small amount of oil. 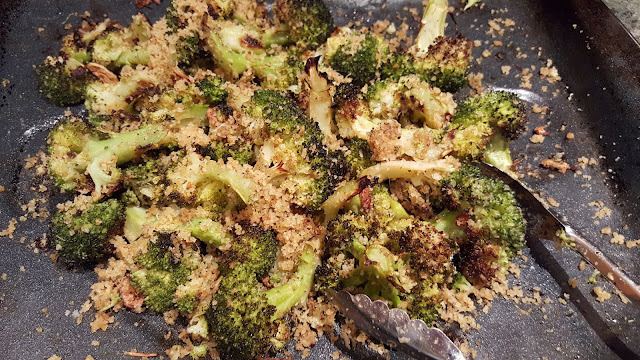 Sprinkle the salt and pepper over the broccoli and garlic and mix again to distribute the seasoning evenly. Place the broccoli-garlic mixture into the oven and roast it for 20 minutes. 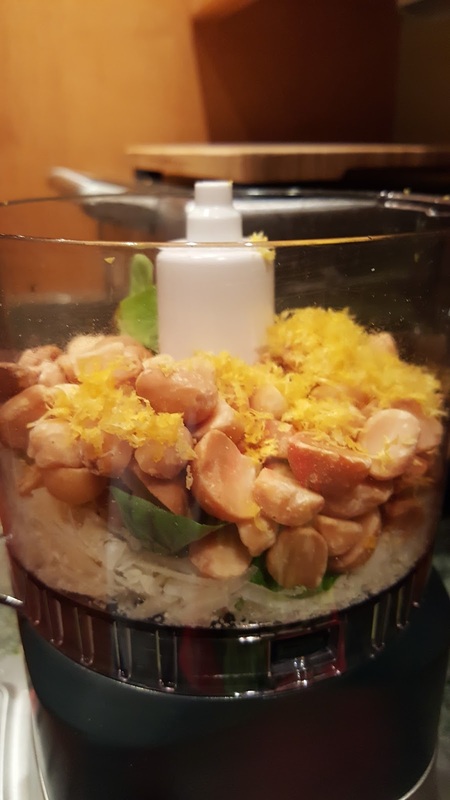 Meanwhile, grate the cheese in a food processor. Change the grating blade for a food processing blade and add the cooled macadamias to the grated cheese. 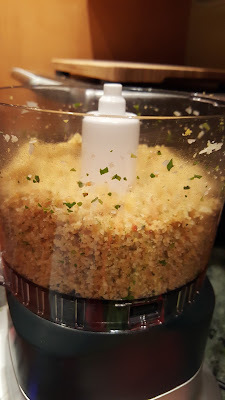 Wash and dry the basil, strip off the leaves, and add them to the food processor. Zest about half of the lemon and add the zest to the food processor. Grind together the cheese, macadamias, basil, and lemon zest until the texture is like that of a crumble topping. 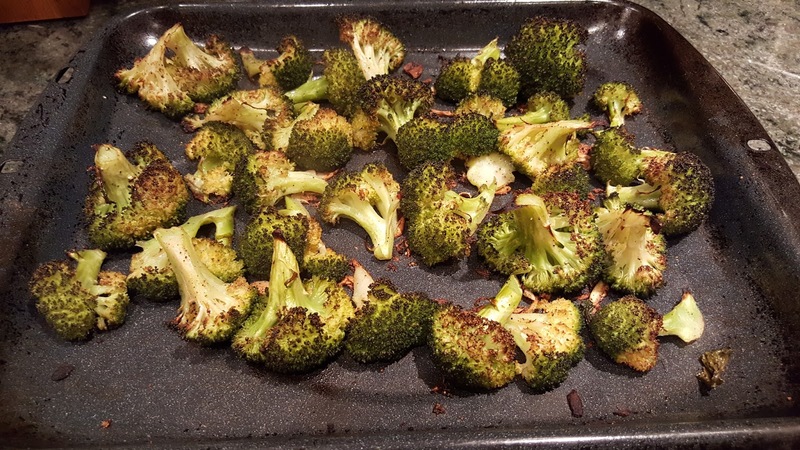 When the broccoli-garlic mixture is ready it will look slightly browned and the stem pieces will not be limp. Toss it immediately with the macadamia crumble mixture. Always looking for ways to make broccoli a fun vegetable, I came across a recipe that had most of the ingredients above and claimed to be "The Best Broccoli of Your Life". 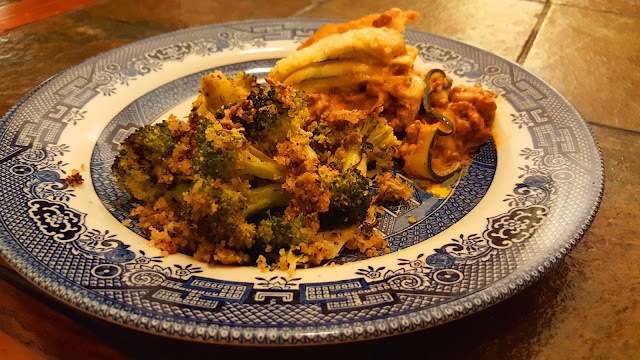 After making it a couple of times without being able to concur, I decided to retain the spirit of the dish but recast it in a different light. I am much more pleased with this version.